Seek To Know The Truth: Question: Why do some people see UFOs and some don’t? Why do even some sincere Christians see UFOs but others don’t? I believe these UFOs reveal nonphysical demonic activity, but they have been captured on video, and even the US military has claimed to have seen them. Do you believe that UFOs can manifest themselves in a visible physical manner? Or are these fancy camera tricks in order to hype up something that isn’t real? Question: Why do some people see UFOs and some don’t? Why do even some sincere Christians see UFOs but others don’t? I believe these UFOs reveal nonphysical demonic activity, but they have been captured on video, and even the US military has claimed to have seen them. Do you believe that UFOs can manifest themselves in a visible physical manner? Or are these fancy camera tricks in order to hype up something that isn’t real? Furthermore, it is not surprising that UFOs /ETIs have been reported throughout history. Why a UFO may appear to one individual and not to another is open to speculation. Perhaps some may be more open to deception, such as treasure-hunting occult practitioner Joseph Smith. We know from Scripture that “[Our] adversary the devil, as a roaring lion, walketh about, seeking whom he may devour” (1 Pt 5:8). The implication is that not everyone is readily devoured. Why would Satan waste his limited time and effort on people who wouldn’t believe it? Historically UFO appearances have mimicked the technology of the age. Ancient Egyptian accounts tell of a time when “sky gods” came down to Earth. They flew through the sky in what were described as “flying boats,” bringing laws and wisdom to men. 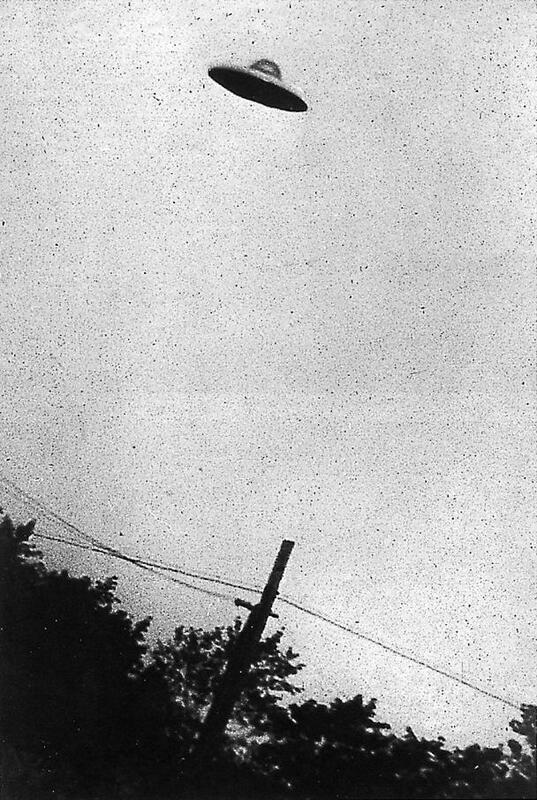 Sightings in the late 1800s took the form of spheres or cigar-shaped craft similar to early dirigibles or balloons. Disk-shaped flying objects have been allegedly recorded since the Middle Ages, although one publicized sighting of a saucer-shaped object as late as June 24, 1947, is much better known. This was followed by what have been described as thousands of similar sightings. With such sightings being very common, the term “flying saucer” was interchangeable with “UFO” into the 1960s. In recent years, the flying saucer has been superseded by other alleged UFOs, such as “black triangles” (“Unidentified Aerial Phenomena in the UK Air Defense Region: Executive Summary,” Scientific and Technical Memorandum , 5/2/00), mimicking more recent developments in military aircraft such as the F-117 Nighthawk stealth fighter/bomber. Satan is not a creator; he is a counterfeiter. In TBC April 1995, Dave Hunt wrote: “There are no physical ETIs. The only intelligent life beyond earth is all in spirit form: God, angels, Satan and demons. Satan and his minions are able to invade the physical realm. Satan put boils on Job, caused Sabeans and Chaldeans to rob Job and kill his servants, caused a ‘great wind’ to destroy a house and kill Job’s children—and in each case one person was left alive to bring the news to Job. Satan transported Christ to the top of a mountain and to the pinnacle of the temple. Jannes and Jambres (2 Tm 3:8) were able to duplicate by the power of Satan many of the miracles Moses and Aaron performed by the power of God. “What limits there may be upon satanic ‘power and signs and lying wonders’ (2 Thes:2:9) we don’t know: Satan will cause the whole world to worship Antichrist as ‘God’ (Rv 13:8). [Since the Garden of Eden], mankind has remained open to contact and receiving advice and help from demons who are manifesting as UFOs and masquerading as ETIs. All of this helps to set the stage for the last days ‘strong delusion’” (2 Thes:2:11).